Patricia J. 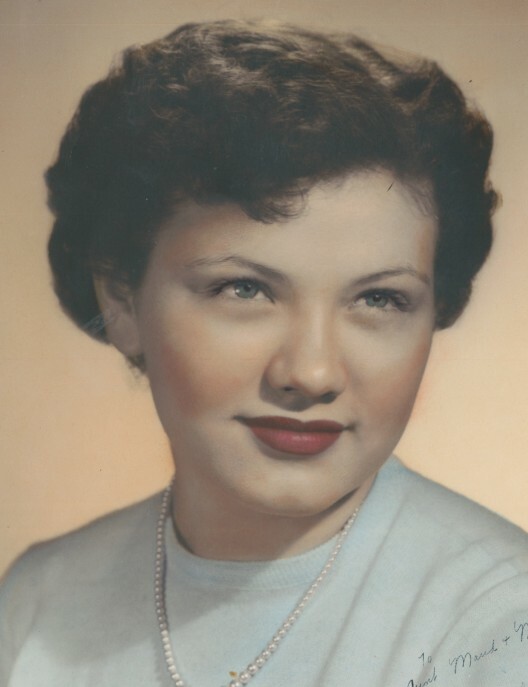 (Rinehart) Baker, age 83, of Evansville, IN, passed away at 9:41 p.m. on Thursday, April 4, 2019, at Linda E. White Hospice House. Patricia was born December 10, 1935, in Evansville, IN, to Reverend Robert and Mary Hazel (Pate) Rinehart. She graduated from Central High School in 1953. Patricia worked for Citizens National Bank as a switchboard operator in 1975 and worked her way up to Vice President of the Marketing Department in 1980. She later worked for General Foods Credit Union in 1985, and then as an office assistant for Dr. Johnson in 1986. Patricia then worked as office manager for the dentist, Dr. Athey from 1993-1994 and for the Evansville Vanderburgh School Corporation in 1994 and retired from there in 1998. Patricia’s priority in life was her family and friends. She is survived by her daughter, Melissa Jeanne Baker; son, Donald Baker, Jr. (Debbie); daughter-in-law, Linda Baker; sisters, Lynda Bowles and Mary Sterne; grandchildren, Matthew Baker, Sarah Paton (Tim), Josiah Baker, Emily Engle (Andrew), Samuel Baker (Kieran), Amy Claire Baker, and Naomi Baker; a great grandson, Edmund Lincoln Engle; and several nieces and nephews. She is preceded in death by her husband, Donald V. Baker; son, Lincoln R. Baker; sister, Joyce Holder; and brother, Bill Rinehart. Graveside Services will be held at 1:00 p.m., Saturday, April 6, 2019 at McCutchanville Cemetery in McCutchanville, IN with Pastor Scott Richardson officiating. Burial will follow. Memorial Contributions may be made to: Honor Flight Network at 175 South Tuttle Road, Springfield, OH 45505. Arrangements are being handled by Boone Funeral Home East Chapel – A Family Tradition Funeral Home, 5330 Washington Avenue, Evansville, IN.